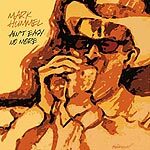 CD review: "Ain't Easy No More"
Mark Hummel plays blues harmonica in the same bright, sunny SoCal style as the better known Rod Piazza and James Harman. Equal parts Louis Jordan jump blues and southside Chicago juke joint, Hummel's version of the West Coast sound is defined as much by his warm singing as his powerful harp playing. His new album has a baker's dozen tracks, and there's not a dog in there (although his song about Hurricane Katrina, "Big Easy (Ain't Easy No More)" is annoyingly preachy in its lyrics). His seven-piece band swings like a big band jazz outfit (Bob Welsh on piano in particular is outstanding), Hummel blows like a man possessed on harp, and then turns around and sings like some lost crooner from the '50s. In short, it is impossible to stay gloomy when Hummel's occupying your stereo system.